I haven’t done a poll in a while! Now that summer is upon us and the weather in the states has finally caught up with us (its been consistently HOT here for at least a month) my poll is going to reflect the type of shower you take (not quite brain surgery, but it runs a close 2nd). When its super HOT outside, do you still take HOT showers or do you take COLD ones? The quiz wasn’t too far off…I completely love Cape Town and could see myself living there. Sooooo, here’s the question of the day. If you could live anywhere in the world, where would you choose to live???? The holidays are now in full swing (everywhere but here), and I have been craving some of my favorite Christmas movies. This year I have definately taken advantage of being home for the fall season. If you follow me on facebook, you have probably seen all my status updates dealing with the subject. There is no doubt about it… I have gotten my ‘pumpkin fix’ from drinking pumpkin spice lattes, eating pumpkin fudge, pumpkin cookies, pumpkin whoopie pies, pumpkin pie, roasting pumpkin seeds (and eating them too of coarse), and carving pumpkins. The word ‘pumpkin’ is looking wierd to me now after writing it a million times. So, in honor of the fall season coming to an end soon, and my delights with pumpkin products as well, lets try a pumpkin survey with the new poll feature on the blog. So, I’ve been tagged by my friend in Botswana, Andrea. I have to now share 7 random and/or weird facts about myself…here I go. 1. I NEVER tell anyone my middle name for personal reasons, so if you know it consider yourself a really special person. 2. I have lived on 3 different continents…and will be 4 soon. 4. I have recently started watching Lipstick Jungle on NBC. I think this has now become my new guilty pleasure. 5. My secret job ambition is to be an undercover CIA agent (think Sydney Bristow). 6. If I could afford really good wigs, I would totally shave my head and go bald. Changing my hairstyle and look would be way too fun. Plus, not worrying about washing, conditioning, blow-drying, highlighting, etc. would be a dream come true. 7. My most favorite movie of all time is Star Wars (the original trilogy). I have probably seen those films more than 200 times. Yes, I’m a Star Wars Geek! There you go…information about me that you never needed or wanted to know! 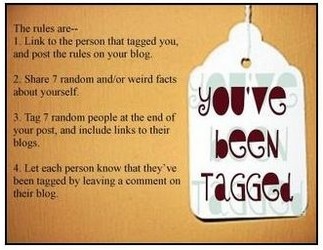 Here are the 7 people I tag: Alece, Char, Angie, Katherine, Katie, Tim, and Reggie. Go get em!!! Summer Fun…Can U Guess What This Is? My mom took a picture of this in her backyard, and I zoomed in to get a better view. Take a good look…don’t be shy, what do you think it is???? 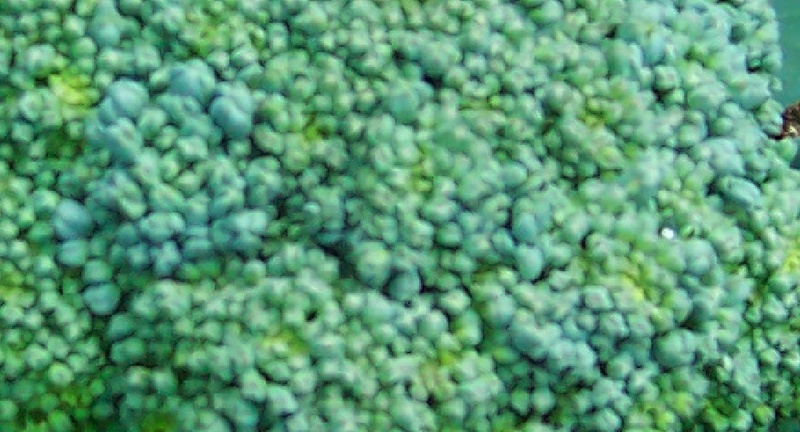 It's broccoli...congrats on those who guessed correctly!!! Yeah! Finally, another survey… In honor of traveling home and the fact that I won’t have internet for a couple of days, I am giving you time to get your votes in. This one is for all you international travelers (and if you haven’t traveled internationally, then domestic travelers) to put in your 2 cents. So, one of my favorite airport experiences is when you finally get through customs and you are walking through the airport and smell the wonderous, Cinnabon. Mmmmm, my mouth is watering already. I have been in a lot of airports, all over, but there is nothing like getting back to the States to have a Starbucks coffee and a Cinnabon. Then you know you’re back to the land of fast foods!